Reece beats Bartek and Karl after saving match points! The County Senior event, organised by County Chairman, Neil Hurford, was held at Kidlington Forum on the afternoon of Sunday, 26th November. We were delighted to see the strongest turn-out for several years, with rare appearances from England Junior International Reece Chamdal and the two Polish stars, Bartek Duleba & Pawel Jaskolski, taking on local heroes, Karl Bushell and Neil Cartwright, along with top ranked Charlie Lane from Didcot, Jack Shardlow & Peter Harris from Banbury and the outstandingly gifted Todd Stanmore enjoying his highest ever national age group ranking of 8th. With this array of talent we were treated to a series of spectacular matches, not least in an initial “group of death”, in which Reece defeated Bartek 11-5, 10-12, 11-5, 10-12, 11-5 and had to save a series of match points before prevailing over Karl, 11-5, 11-13, 11-4, 8-11, 17-15. 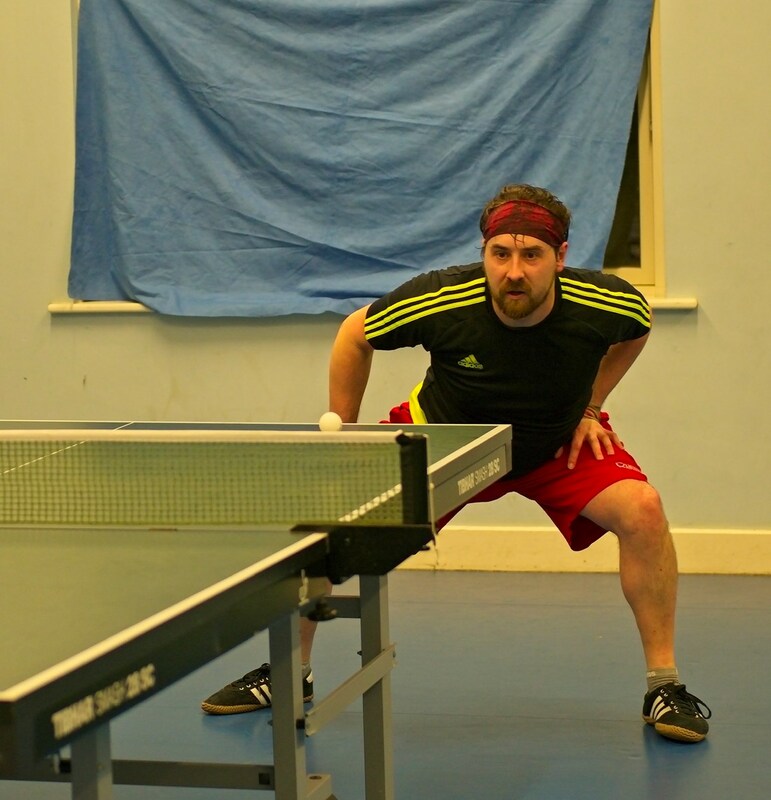 Reece showed great maturity against these redoubtable adversaries, while Bartek recovered to beat Karl 11-9, 15-13, 11-6. 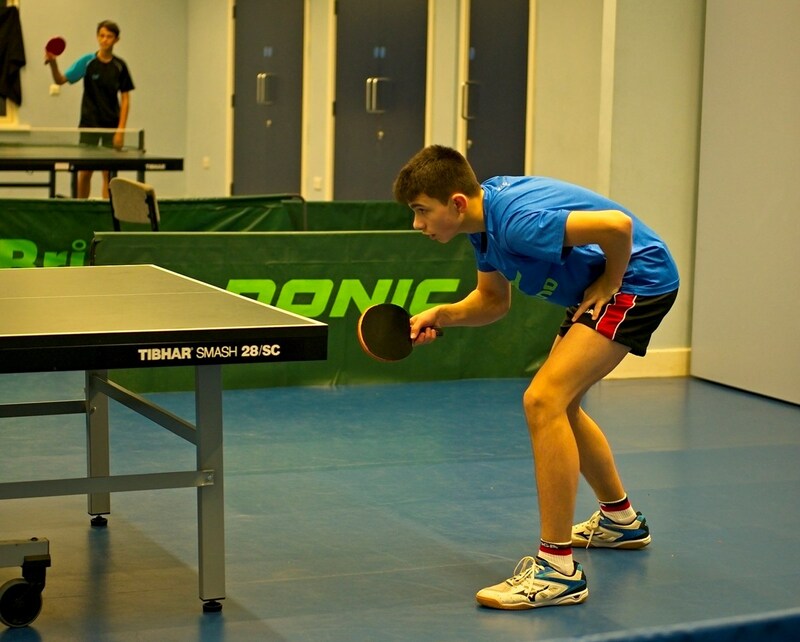 Bartek Duleba lost only to Reece and that went the distance. 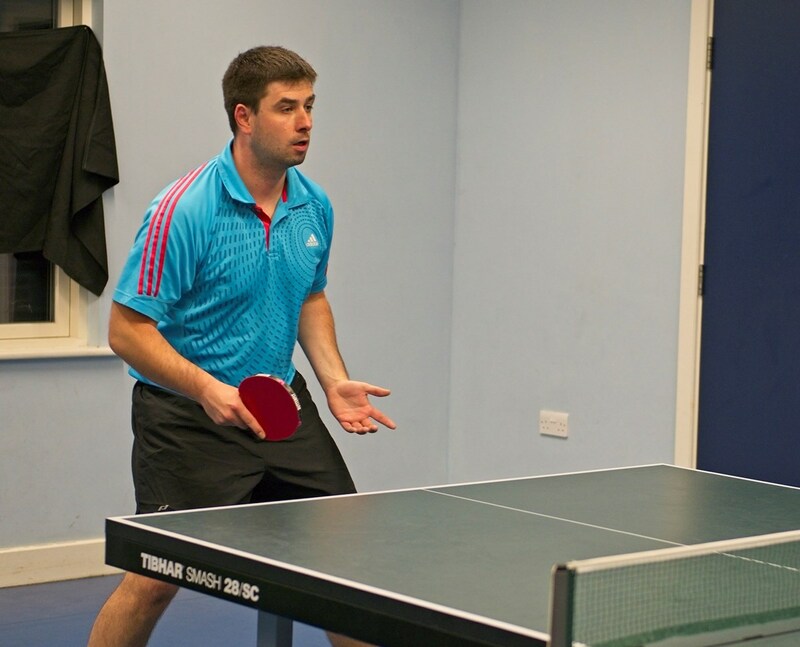 The second group also produced some first class play, with Neil looking dominant and Todd excelling to upset his Didcot team-mate Charlie at 11-6 in the 5th. That was Charlie’s only defeat in this group, as he bounced back to overturn Neil over five games. 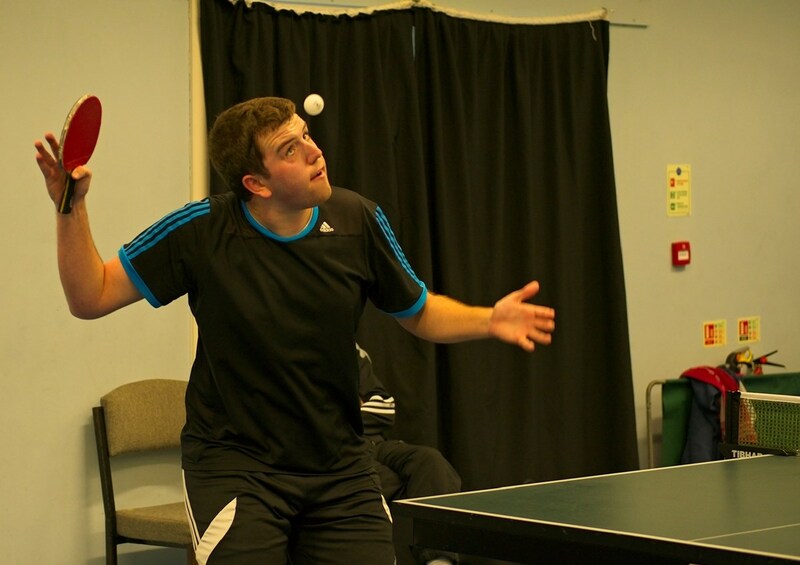 Meanwhile Jack had beaten Todd in another five game epic – most of Jack’s matches are epic, as he retrieves so superbly from the back of the court! This was a marathon group, with Pawel defeating both Jack 13-15, 11-5, 11-8, 10-12, 11-7 and Todd 11-5, 11-6, 2-11, 10-12, 11-7, before losing to Charlie at 10-12 in the 5th. Sort that lot out! This was a splendid afternoon’s play, with many highlights. We were impressed with the top quality throughout, not least with the juniors. 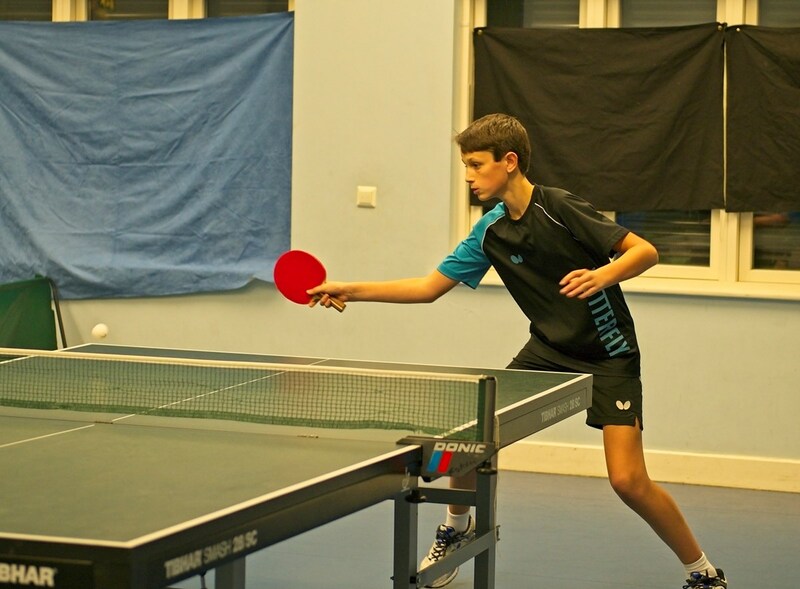 Reece, who attends the English table tennis academy at Ackworth School in Pontefract, has reached a remarkably high level for a 15 year-old, while Todd, at just 12, was certainly not out of place in this company. Bartek & Pawel add a lot of quality when they are able to participate. 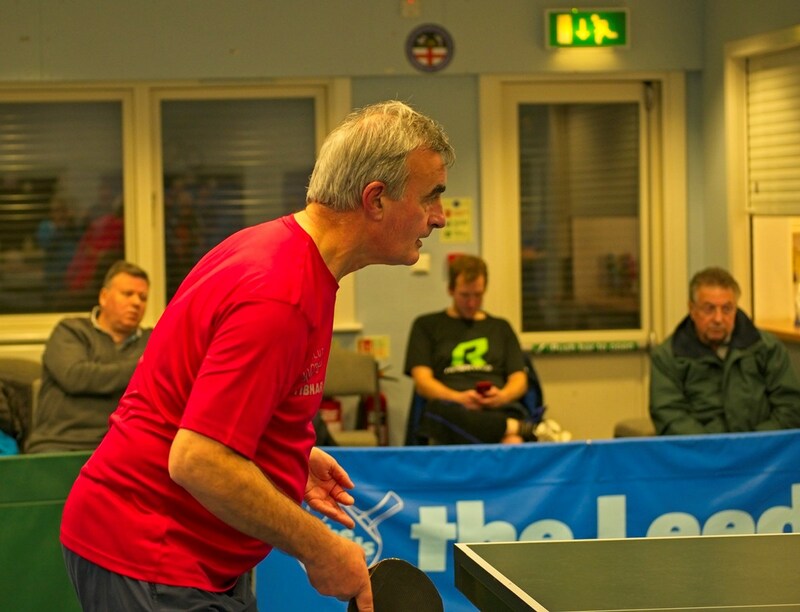 Local league players in Oxford & Didcot will be well aware of the top quality of Karl (surely a “legend” by now), Neil and Charlie, while Jack & Peter lead the way with Millennium A in the Banbury League. We are hoping to have all these players available for selection to represent the County senior team over the weekend of February 3/4. Didcot's Charlie Lane was tied for 3rd place with Karl and Neil. 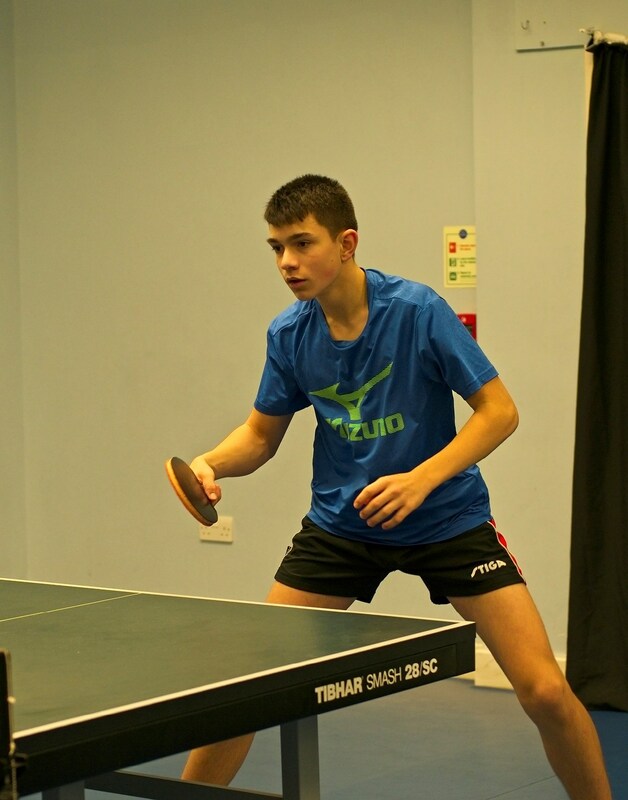 Pawel Jaskolski went to five in three of his four group matches, winning two but losing to Charlie at deuce. Banbury's Jack Shardlow is a superb retriever, but has also improved his all-round game. 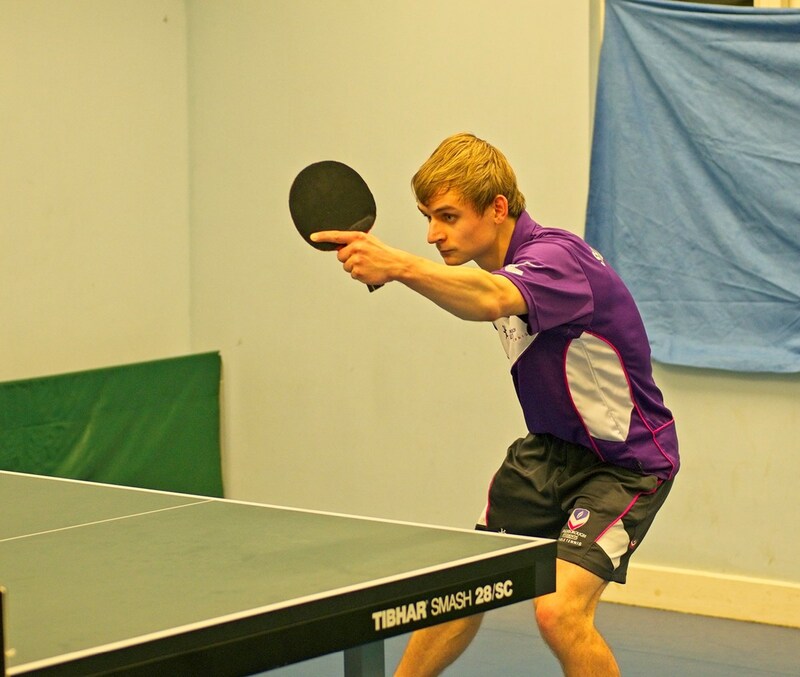 Peter Harris lost out in a tight battle with Millennium team-mate Jack Shardlow. 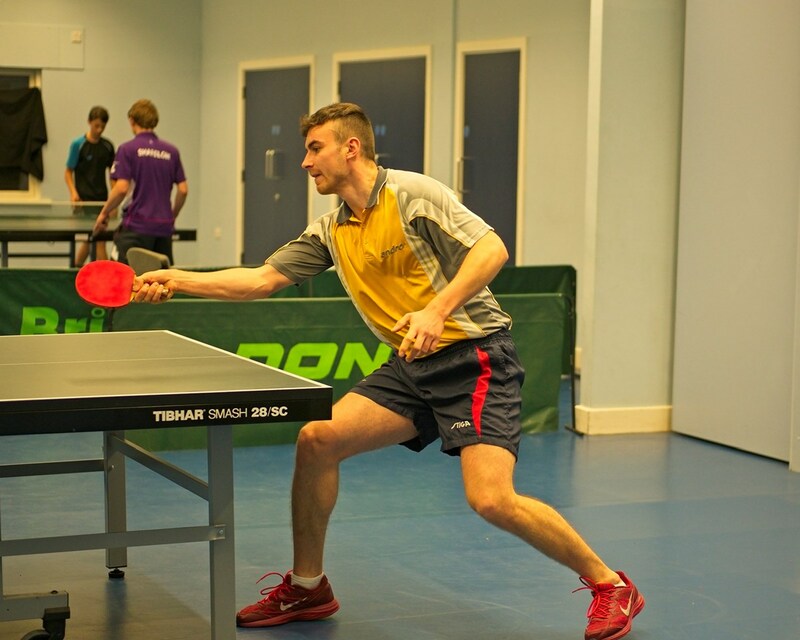 Todd Stanmore had a splendid win over Charlie and took Pawel to a decider. 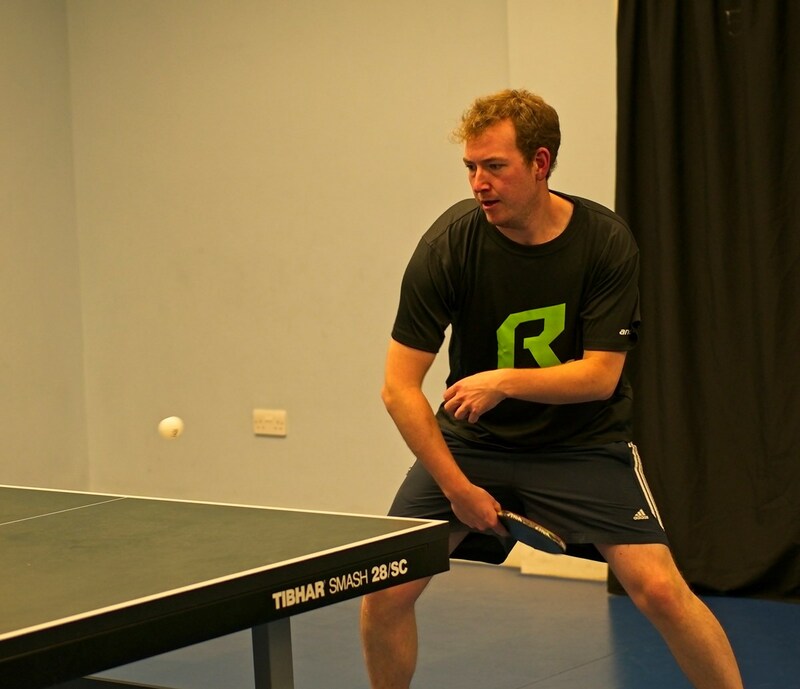 Reece in the classic ready position, right foot back, favouring his stronger forehand side, but also ready to play a backhand diagonal.